Ten thousand came when only 2,500 were expected. 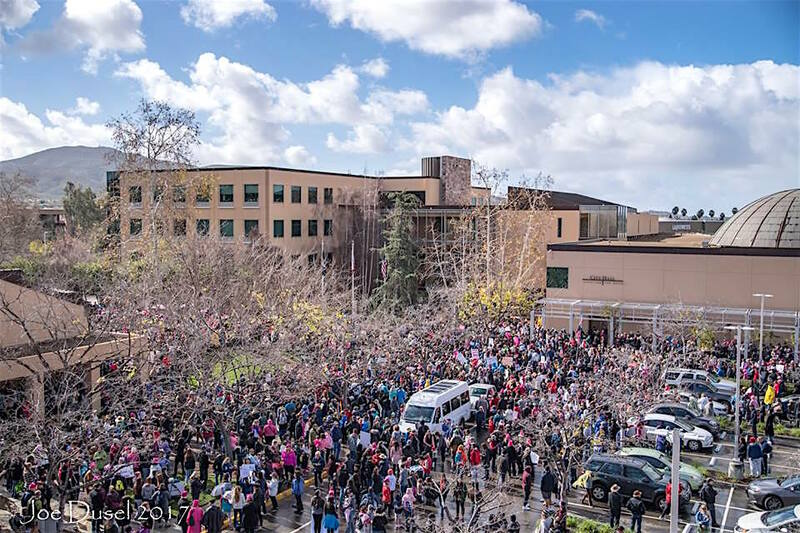 Women’s March North County San Diego quadrupled its expected number Saturday as an excited, and determined group marched from San Marcos Civic Center to Palomar College. A few early sprinkles and the unexpected numbers did nothing to dampen the mood at the free-wheeling people’s parade. 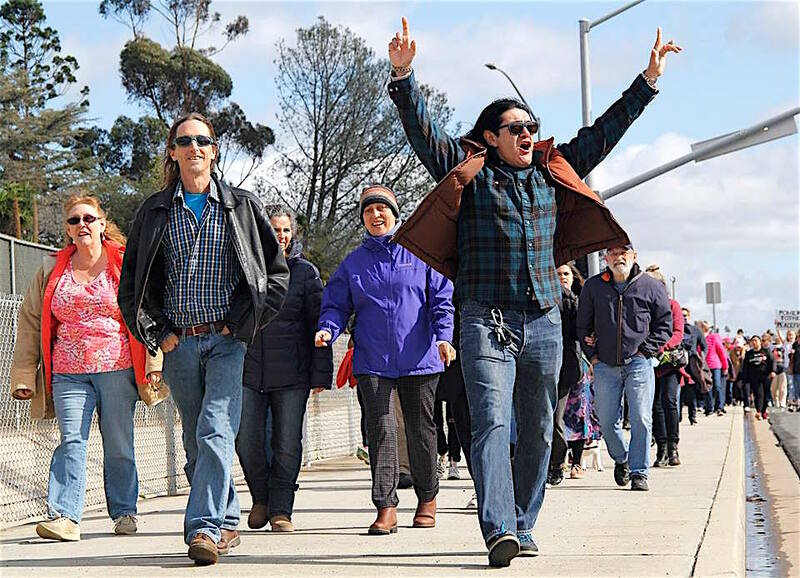 Far exceeding expectations, the thousands of marchers overflowed Mission Avenue sidewalks spilling into half of the normally traffic-beset roadway. Fortunately, motorists were wholeheartedly sympathetic with any honking horns and waving to the marchers. Sheriff’s deputies stood along the 1.7-mile route with no incidents or arrests reported. 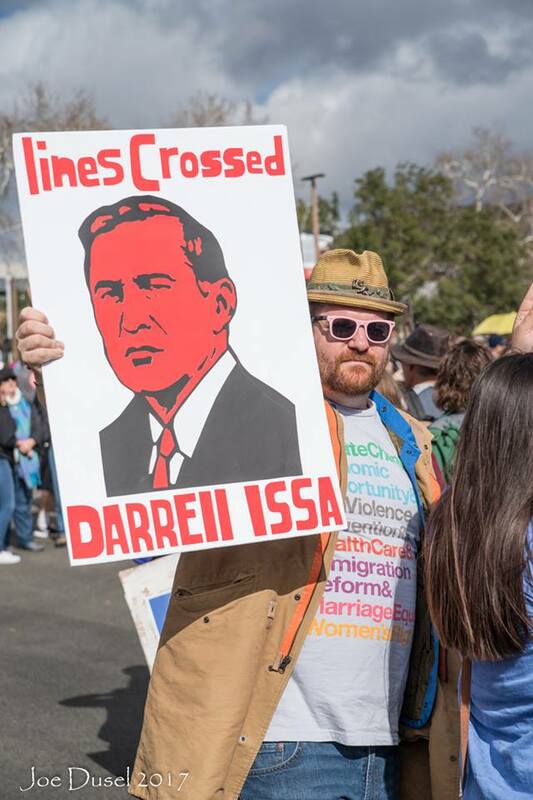 One of the hundreds of national Women’s March events that drew more than a million participants, the San Marcos trek highlighted a variety of issues united with opposition to Donald Trump. 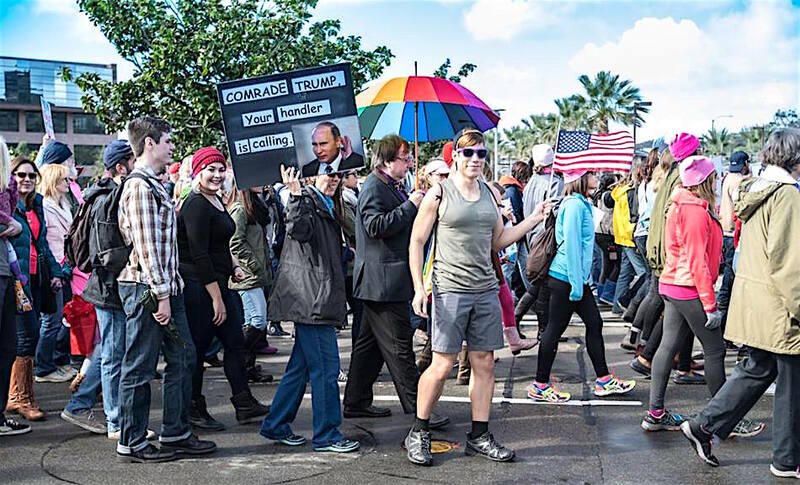 “We are here to let (Trump) know that we are here — and we will be watching,” said marcher Marilyn Falsetti, 66, to the Union Tribune. “We want him to know that he doesn’t have a majority of the country supporting him,” friend Maggie Martin, 64, added. 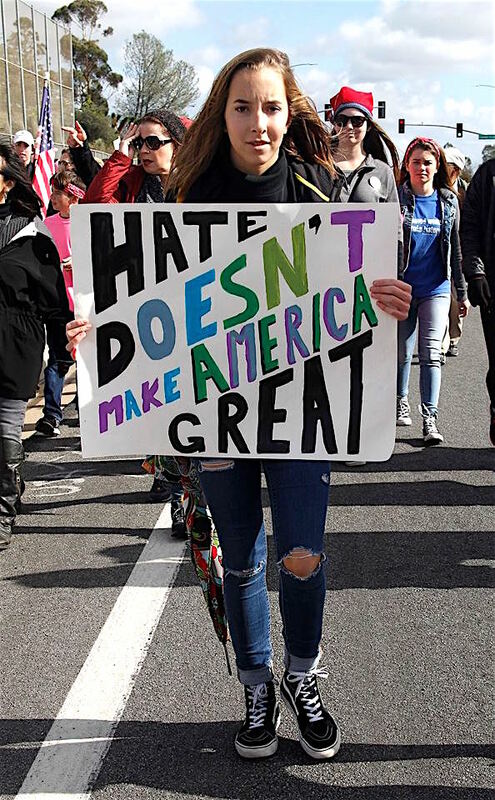 “We are Latinas, and we want our voice to be heard,” said marcher Alicia Cathcart, her 9-year-old daughter at her side. Cathcart, 53, said she was “20 years old when I ran across the border,” undocumented. She has since become a U.S. citizen. 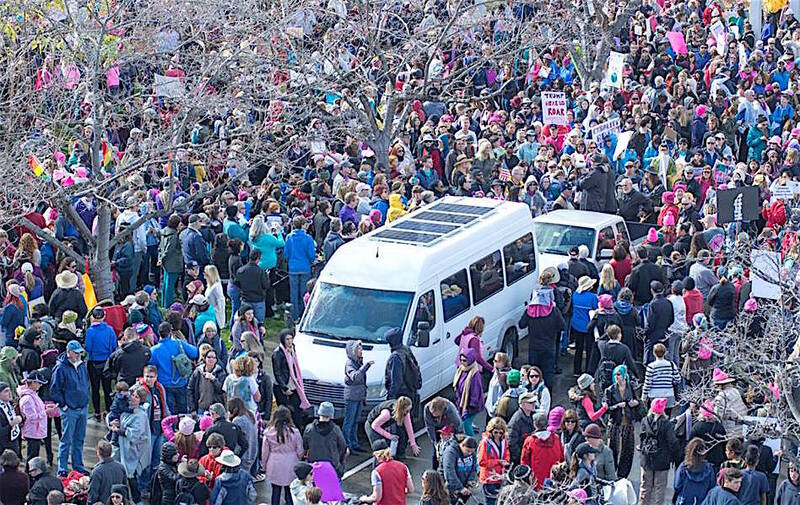 Be the first to comment on "10,000 join San Marcos Women’s March"